Click the image above to link to the live interview (Dec. 1, 2017 at 6pm PST). Live tonight-12/1/17-at 6PM PST: Listen to JFA's Steve Wagner, interviewed by Clinton Wilcox on Pro-Life Thinking. 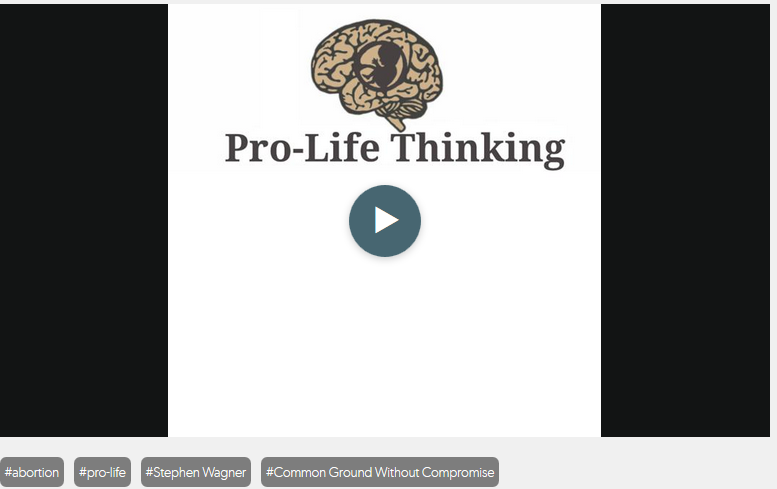 They will discuss Steve's book, Common Ground Without Compromise, and answer this question: In the effort to make abortion unthinkable, why is finding common ground with abortion-choice advocates is so important? To listen to another recent interview of Steve's on Called2Action Radio, click here.